Leaking pipes? Malfunctioning toilets or faucets? Well, there is no longer a need for you to worry even a bit of having to fix these issues on your own for we at The Maple Roots are here to ensure that these matters will be repaired in no time at all! 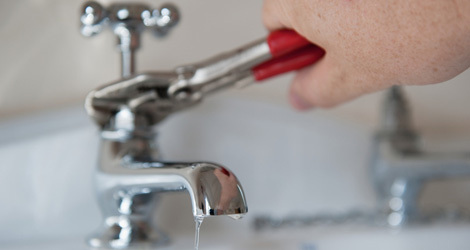 Different plumbing and drain emergencies can occur any time, and in some cases, they occur just when you are caught off guard and completely unprepared. This is the very reason why we at The Maple Roots strive to provide our clients with the fastest and most reliable plumbing repairs services in times of need. As one of Thornhill’s leading plumbing, drain and waterproofing company, we perfectly understand that these problems, no matter how trivial they may seem, need to be fixed right away or else, all your activities will be greatly affected. Our professional Thornhill plumbers are always ready to help you in times of emergency, no matter what time of day it might be, including holidays, weekends and even at night. Just about all things can go wrong with the plumbing system, ranging from clogged sinks, clogged toilets, broken hot water heaters,drain problems and broken pipes. But whatever issue you might have, you can save a lot of time and money when you hire a professional Thornhill based plumbing and drain services. All our Thornhill plumbers are licensed professionals who have the training required to deliver you with topnotch services. We also guarantee to repair the issue right the first time. If in case there are some issues that arise from their job, they are going to come back to your house without any charge and make sure that the problem is remedied right away. We will also be more than happy to answer your questions about your plumbing, drain and waterproofing system. As mentioned earlier, most of the plumbing emergencies happen just when you least expect them to. By hiring us as your Thornhill plumbing repairs and installation provider, you know that we will be arriving in no time and there is definitely no need for you to wait. At The Maple Roots, our professionals will not just fix your plumbing, drain or waterproofing problems efficiently and quickly, we also offer all of our services at very competitive rates. Let our team of professional plumbers help you today! Give us a call at 647-836-7930 or fill out the form on the right for a free estimate!